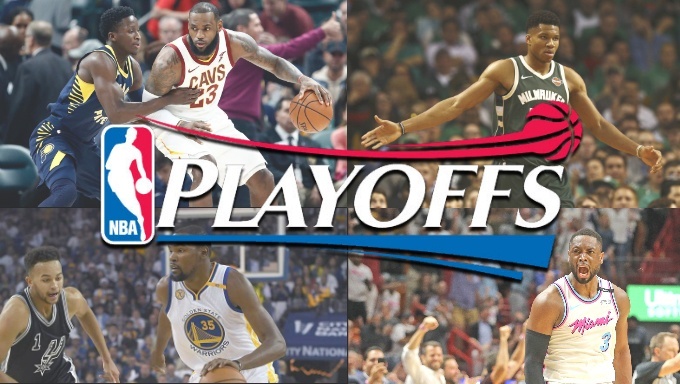 The NBA Playoffs are here and so is the opportunity to get in on some exciting basketball betting action. The Golden State Warriors and Cleveland Cavaliers have dominated the postseason the last few years, but this year’s field is filled with intrigue as some up-and-coming squads could shake things up. Here’s our five top tips for this year’s opening round. Boston has a 73 percent chance, according to FiveThirtyEight, of advancing to the Conference semifinals. However, the Celtics are 9-6 since Kyrie Irving’s March 11 injury. That was good enough to hold on to the second seed thanks to a fantastic season prior to Irving’s injury in which he missed just three other games. Seventh seeds don’t exactly inspire fear in the hearts of many, but the Bucks have more talent than their record suggests. The Raptors are the best team in the Eastern Conference by far this season, and many forget the fight the Bucks gave them in last year’s playoffs despite falling in six games. Milwaukee flat out dominated the Raps at times taking a 2-1 lead and nearly forced a Game 7. That’s a decent indicator of how good the Bucks can be and they should beat their 23/20 odds to advance from 888sport. They’re a better team and Antetokounmpo is a better player this time, so expect Milwaukee to get past what is essentially a bunch of talented role players. The Indiana Pacers faced preseason odds of 4/1 of to make the postseason making them the biggest surprise in the field. Victor Oladipo has exploded onto the scene as a legitimate do-it-all star for the Pacers leading them with 23.1 points per game while averaging 5.2 rebounds, 4.3 assists and 2.4 steals per game. The unfortunate reality facing the exciting Cinderella Pacers, is that the underperforming Cleveland Cavaliers have the fourth seed. Yes, this is a new-look Cavs squad that underwent a major reconstruction at the trade deadline. Yes, on paper this team isn’t as threatening as the one Golden State booted from the Finals last summer. But LeBron James is still the centerpiece, and you just don’t pick against LeBron in the playoffs, especially in the first round. This might be a year that the Cavs’ Eastern Conference mystique begins to fade, but not against Indiana where they’ll make good on 2/13 odds to advance. The Sixers are ahead of schedule and have thrilled the nation with the exploits of young superstars Ben Simmons and Joel Embiid. But inexperience may rear its ugly head in the first round against a streaky but dangerous Miami team. Matchup-wise the Heat can counter whatever the Sixers throw at them. A deep bench including a pretty good sixth man named Dwyane Wade gives the Heat a much better shot with 15/4 odds of winning the series than the silly 12% proposed. Wade is in the twilight of his career, but his saavy, skill and playoff clutch could be an X-factor. One of Wade’s most vintage performances since returning to the Heat came against the Sixers in February, and it could be a preview of what’s to come in this series. The Jazz haven’t beaten the Thunder since October, but played Oklahoma City three times in December. They’re a different team now, as rookie Donovan Mitchell has led Utah to win 29 of its last 35 games, a streak that started mid-January. Mitchell may not take home Rookie of the Year honors, but the young stud from Louisville averaged 20.5 points, three assists and three rebounds per game in the regular season. He’s the first rookie to lead his team in scoring and into the playoffs since Carmelo Anthony accomplished the feat in 2003-’04. Utah will face down Anthony along with stars Paul George and Russel Westbrook, who just finished his second-straight season averaging a triple-double. The Thunder have been inconsistent, but should have the edge in what could be the most exciting series of the first round. But take the Thunder at 7/2 odds to win in seven games or, if you’re feeling lucky, take a chance on the Jazz in 7 at 13/2 odds. There’s been much commotion and media speculation regarding the absence of Steph Curry and how long the Warriors’ leader and top star will be out this postseason. But if he comes back by the second round, Golden State will still be alive. There’s just too much pride on the line for these defending champs to go out like chumps to a Kawhi Leonard-less San Antonio. Had maybe a younger more upstart team like the Timberwolves or Jazz gotten the seventh seed, there would be serious cause for concern in Oakland. FiveThirtyEight gives the Spurs a fighting 44 percent chance to beat the Warriors, but that seems incredibly generous. Take the Warriors as 1/9 favorites to get to second round on the backs of Kevin Durant, Klay Thompson and Draymond Green.